When MDO met Yapstone they were expanding from aserviced office in Drogheda into the next stage of their growth. This involved a move to the former Coca Cola offices in the M1 Retail Park where MDO took the former fit-out and reworked it as an 18month swing space for Yapstone as they consolidated their expansion. The aim was to get them up and running in a fast programme and tight budget. 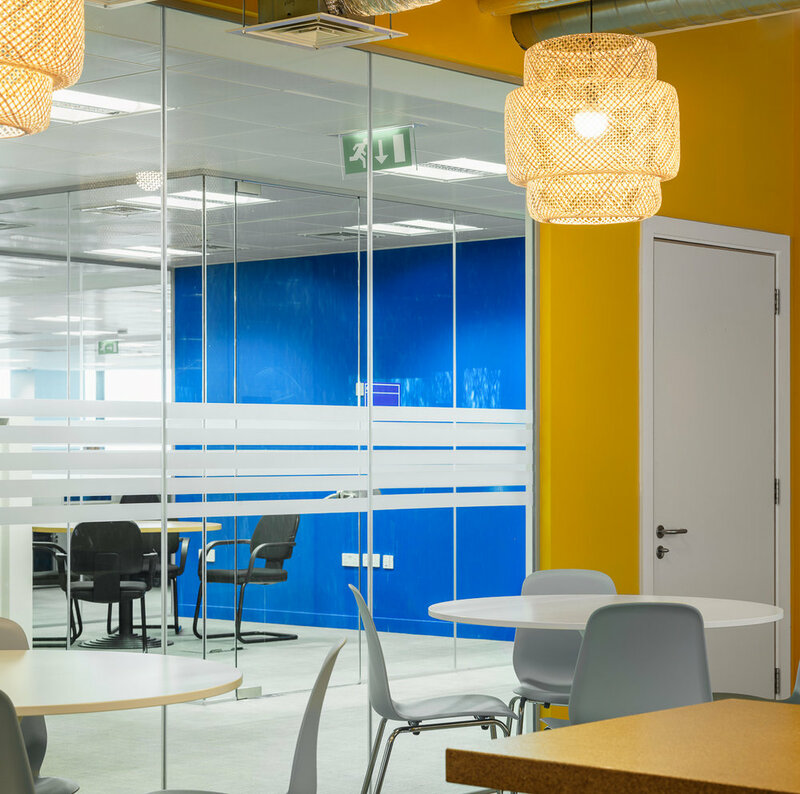 The layout of the open plan workstations was reimagined to suit Yapstone’s requirements with the additional of a new canteen and multiple breakout areas. The introduction of the strong bright colours associated with the Yapstone branding was a key element in refreshing the space.